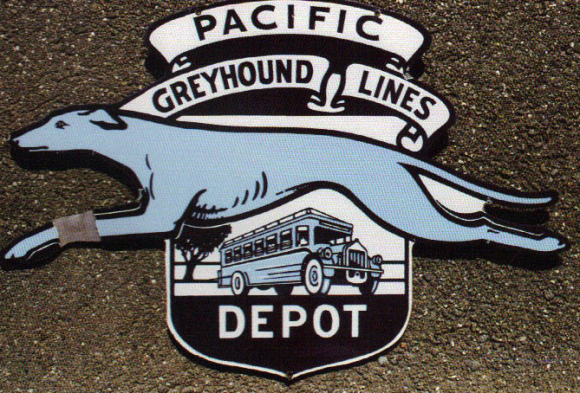 This is a die-cut Pacific Greyhound Lines Depot porcelain sign. This particular Pacific Greyhound Lines Depot sign is blue, black, and white. It reads, “Pacific Greyhound Lines Depot” and features a running dog above a bus.